The other day I happened to be in the market for a new set of bluetooth speakers, I already have the Bose Mini Bluetooth Speaker which I use and love but I wanted something which was a little cheaper and a little more portable. I stumbled on this KitSound Bluetooth Speaker (£20) and decided to go ahead and buy it. Listening to Peanut Butter Jelly, Obvs. How lightweight they are is one of the first things that I liked about these and they're not bulky at all so they really lend themselves to travelling, they come with a handy compact carry case which houses the speakers, the charging wire and the audio jack wire (if by any chance you did want to use it wired instead of bluetooth). The initial set up of it is really simple: you switch it on and quick-press the 'play' button to start pairing with a device, you then select bluetooth on your device and wait a couple of seconds for 'boombar' to show up, just click that and away you go! You can control volume on both the speakers and on your device; for a little speaker this really does pack a punch volume wise and the quality is surprisingly crisp even at it's loudest. 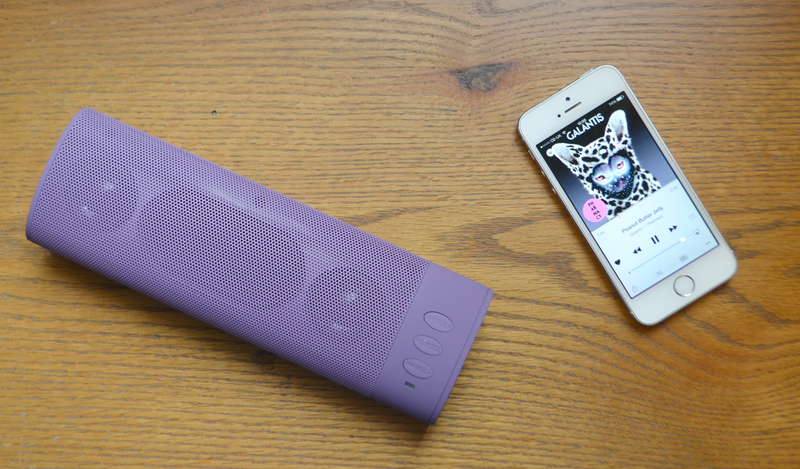 For a set of what I would consider 'budget' wireless speakers, these really are quite brilliant. They work perfectly with any apple device and they can really enhance your experience if you're watching videos/films on your iPad/iPhone. Obviously they will work with any bluetooth enabled device and you can also use them with the audio jack. On a full charge you should get around 4 hours of play out of the speakers and they are recharged by plugging them into a USB charger via the cable which is supplied with them. These particular speakers actually come in quite a few different colours aside from the one in the photo so if purple isn't your thing you can get them in pink, red, black and blue so there's something to go with all tastes and colour schemes. The other colours are slightly more expensive so because I wasn't bothered about the colour I went with purple which is the cheapest. 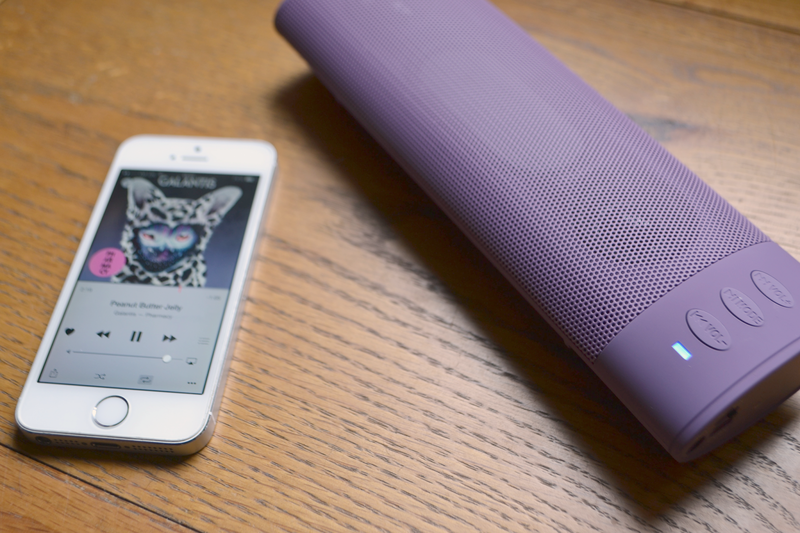 When would you love to be able to use a bluetooth speaker?